Lee Tseng and Michael Jordan on their deal with ZX Ventures. By Jonathan White. 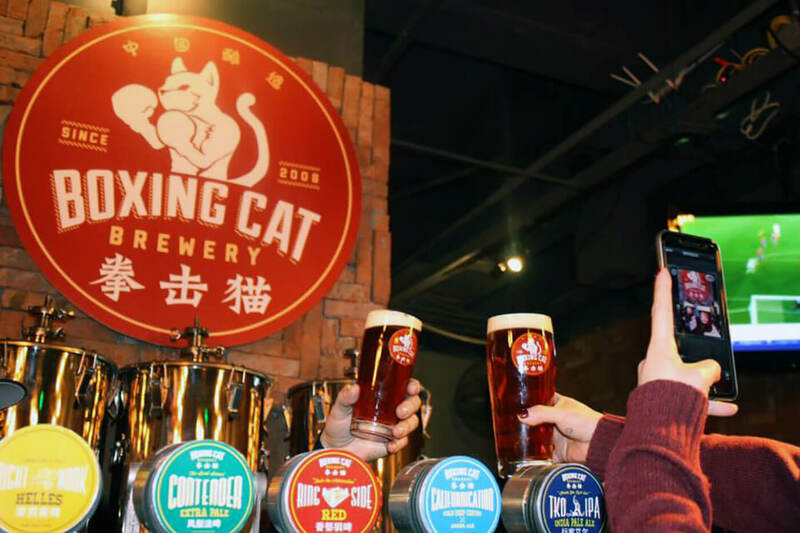 The news of Boxing Cat Brewery’s outright purchase by AB-Inbev has caused quite a stir in the craft beer community both in China and overseas. A lot has been said about the deal, which sees the brewing giant’s ZX Ventures arm purchasing all operating Boxing Cat venues (including Liquid Laundry) and distribution, a process that took almost two years of discussions. Now that the cat’s out of the bag, so to speak, we wanted to know more. Enter founding partner Lee Tseng and brewmaster Michael Jordan. 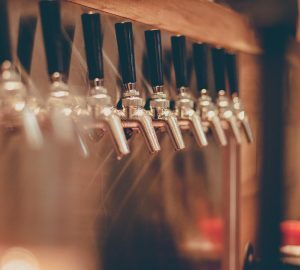 Craft beer as a category is rather passionate and this news has raised eyebrows among some of the community – what do you say to them? 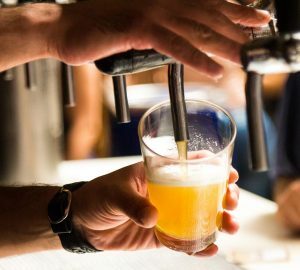 Lee Tseng: When I look at the craft beer market in China, I think its safe to say it’s still well in its infancy stage where the majority of the consumer market still either does not know much about craft beer, or they’re just starting to dabble in expanding their palate. So while its natural to want to follow the type of reaction that’s more understandable or prevalent in more developed craft beer markets internationally, I’m not sure it is warranted for our home market. A lot of the outrage typically comes from years of potential oppression from major brands, or a history of establishing an identity for craft that would suggest its “selling out” to join the other side. Michael Jordan: I think the proof is in the beer and that we are dedicated to continue along our path of making world class craft beer in China and use innovation to make a large range of beer styles. I would be lying if I said the goal eventually for our business was not to exit via sale. 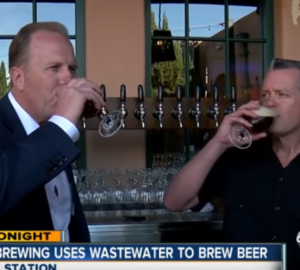 Do you still consider yourselves to be craft brewers? M: Absolutely! We’re still making incredible craft beers and will continue with innovation to make new beers. If anything, we might even experiment more now that we have access to a huge barrel cellar. It’s going to be awesome. I worked for Widmer Brothers in the US for 5 years. While at Widmer they were partially owned by AB. This relationship was all positive during my tenure and allowed us to be autonomous while still having access to the best distribution network in the US. The technical support we received during expansion or getting access to new hop varieties was incredible. We also supported our craft brewing brothers and sisters in Portland by offering them free analytical services on the beer they made. The truth is that most small breweries simply cannot afford this analytical equipment. 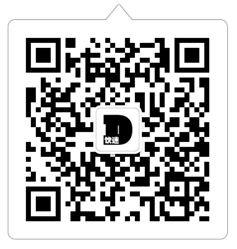 It would be a dream of mine to offer some of those same services and help solidify the craft brewing community in Shanghai and the Huadong region. 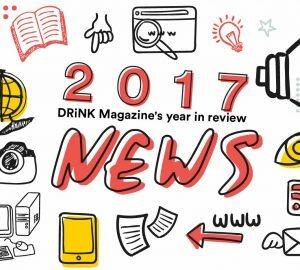 What do you see as Boxing Cat’s role within Chinese craft beer – how has this changed or reinforced that? L: I don’t feel that Boxing Cat Brewery’s role has changed in any way within Chinese craft beer. This new step allows us to maintain what we have always been, which is to be a trailblazer, an innovator and a standard bearer for China’s craft market development. M: Our role has been one of leadership in Chinese craft beer and I think we’ll continue in that role. Our beer will be available to new markets and we’ll really help craft beer gain exposure and get into the hands of more Chinese citizens. Was it always the goal to create a successful business and then sell it? L: I would be lying if I said the goal eventually for our business was not to exit via sale. However, when we started to entertain investment possibilities over two years ago, it was really just to take on partial investment to cover factory building and expansion funding needs. It wasn’t until we went through the process of trying to acquire partial investment, while forging ahead on factory project realisation, that we started to truly appreciate just how big of a mountain China market coverage was to scale financially. 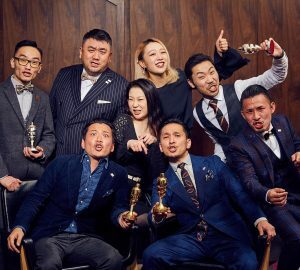 Furthermore, we sensed a quickened shift with major international craft brands planning its entrance into China as well as movement from the domestic market to increase market exposure for their respective brands with institutional backing. The combination of these trends certainly influenced to a degree why we ultimately decided to partner up with a strong partner now, rather than later. We wanted the resources behind us to be able to continue developing our brand with the same integrity we’ve always aimed to maintain, without interference from the outside market. What impact will this have on daily operations in the short term? L: In terms of the short-term impact, I’d say there’s very little to none. Boxing Cat Brewery and its spin off brands still operate autonomously for the most part independent from ZX Ventures. Saying that, we are of course learning over the next couple of months how best to collectively utilise our resources as a whole to establish best practices moving forward for long-term operation flexibility. What are the advantages in the future? M: This will allow us to enter into ZX Distribution’s national distribution network and utilise cold shipping throughout China, which was super important to us from a quality control standpoint. On the brewing side, we have additional resources we can gain access to. This enables us to choose from more premium malts and hops. AB-Inbev also has amazing research facilities so we are able to analyse our beer with the best modern technological equipment available. They also have the worlds largest yeast bank that allows us access to a whole new world of yeast cultures. Their network of brewers worldwide is first class and they also have a very strong network of craft brewers. As a brewer, I feel like a kid in a candy store. Is the goal nationwide distribution or are you hoping to be the first Chinese craft brand to be exported overseas? M: I think our immediate priority for distribution will be China, but opening some additional markets in APAC or elsewhere is also an incredible opportunity for our brand. Wherever we end up overseas, I think its safe to say we’d super proud and excited to be able to help represent China’s craft program to the world stage.